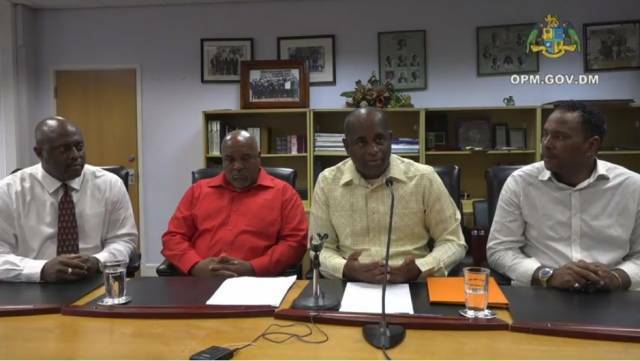 The Dominica Government holds no animosity towards Ross University School of Medicine for pulling out of Dominica after forty years, Prime Minister Roosevelt Skerrit has said. Mr. Skerrit, who revealed Ross’ decision to leave during a press conference on Friday 3 August 2018, said it was a business decision. “Let us remain optimistic; this is a natural way of life, this is about business, this is about the impact of Hurricane Maria on Dominica,” Mr. Skerrit said. The Prime Minister said while Ross’ departure from Dominica is unfortunate and government’s preferred option is that they remain, “we have to be pragmatic and practical”. And, while Mr Skerrit noted that Dominica remains supportive of Ross considering that they operated here for forty years, in every disappointment there is a silver lining. The government, he added, is not daunted by Ross’ decision to leave adding, “we have to appreciate that Ross is a business entity and it had to take decision of its own”. Adtalem Global Education, the parent company of Ross University, made the announcement of Ross’ departure from Dominica and relocation to Barbados during a joint press conference with Prime Minister of Barbados, Mia Mottley on Friday. Chief Executive Officer of Adtalem Global Education, Lisa Wardell announced that Ross will begin operations there by 5 January 2019.